These two earth banks with a ditch between, to be found beside the Aylestone Road, are all that remains of a water course that brought supplied the Roman city of Leicester. The current earthworks are a fragment of very much larger works. The surviving stretch of the Raw Dykes is about 100 metres of linear earthworks comprising two parallel earthen banks (double vallum) with a channel (Fosse) measuring about 6 metres between them. The height of the bank varies between 4 and 7 metres. 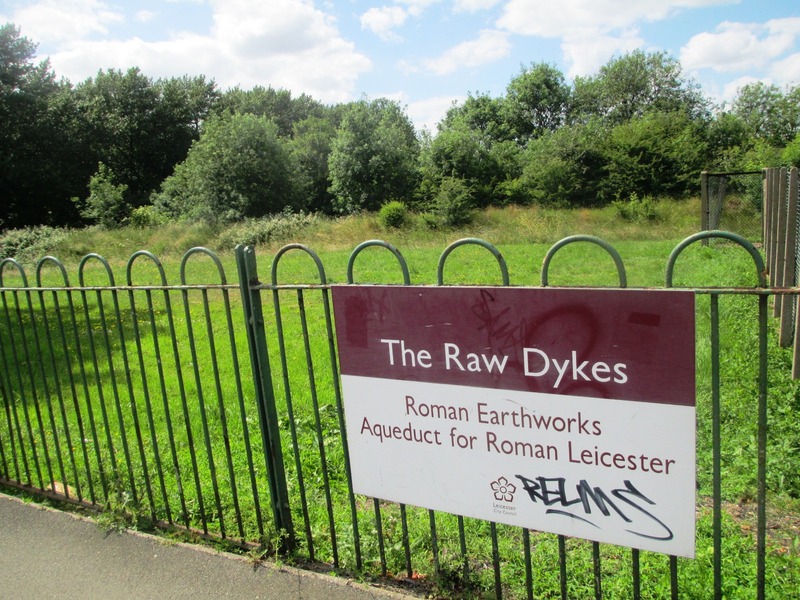 The earliest known documentary reference to the earthworks is contained within the Lord Mayor's accounts for the Borough of Leicester of 1322 which refer to the 'Rowedick'. The etymology is considered to suggest that the name was originally derived from the linearity of the earthworks, the present form 'Raw Dykes' representing a corruption of this. Excavations in 1938 recovered pottery suggesting that the earthworks were constructed during or immediately after the first century AD and consisted of banks defining a broad ditch within which was a much narrower central channel. 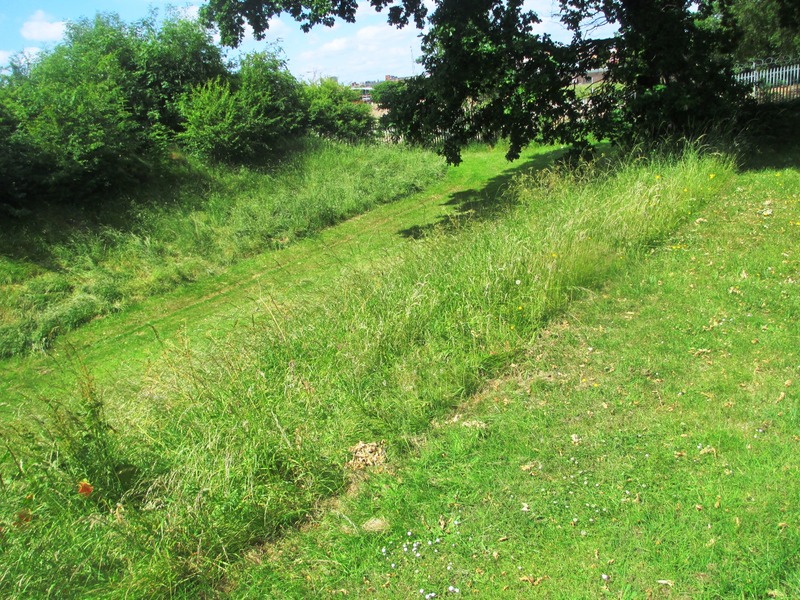 The layout and nature of the earthworks are considered to suggest that the narrow cut within the centre of the ditch represented the main water channel and was designed to increase the flow of water by concentrating it within a constricted space. To view the Raw Dykes you have to make your way down a path to a little viewing area, surrounded all the time by chain-link fencing. We have our Headline of the Day, thanks to BBC News. Not that there was anything wrong with Devon, Bedfordshire, North Lincolnshire, East Sussex, Leicestershire, Herefordshire, Hampshire, Cumbria, Cambridgeshire, Kent, Lincolnshire, Cornwall, Rutland. Northumberland, Shropshire and Suffolk. Norman Lamb's support for assisted dying legislation has assumed a strange importance in his campaign for the Liberal Democrat leadership. I presume this is because his supporters believe this view will be popular with Liberal Democrat members - and also believe it is country into which Tim Farron will not be prepared to follow him. People who are terminally-ill and suffering should have the right to end their lives with the support of their families and medical professionals, says health minister and North Norfolk MP Norman Lamb. Today, he explains to EDP readers why he has changed his mind on this emotive subject in advance of a vote in the House of Lords on a bill on assisted dying which could herald a change in the law. He says: "If I found myself in that situation, I know that I would like to have the choice." In the past, I have opposed any attempt to legalise "assisted dying". I share the concerns many people have that any change in the law could result in frail older people being put under pressure from relatives. I have sympathy with those who say that the risk to many vulnerable individuals of legalising assisted dying outweighs the benefits. And I also understand those who object to this on religious grounds. All of these concerns are legitimate, and must be considered carefully. But in recent years, I have changed my mind on this issue of such profound importance. Yes, it is a hugely different issue - and certainly not one that should be made a litmus test of your liberalism. For what it is worth, I agree with Norman on the principle that "it is right to give people choice about how they end their lives where they are terminally ill and suffering". But how you frame and enforce the "rigorous safeguards" he calls for, goodness alone knows. I attended a riveting panel debate on just this subject in my day job earlier this year. "Good doctors break the rules sometimes," said someone confidently from the floor. "Yes," said one of the panelists, "but the trouble is bad doctors break them too." Two of England's most successful captains, Michael Vaughan and Mike Brearley, talk about the art of captaincy. In fact the two best England captains of the past 40 years. If you think the idea that Greville Janner should face a trial of facts if he is unfit to plead is fanciful, you may be surprised to learn that a former MP faced just such a trial very recently. In 2012, the former Labour MP for Luton South Margaret Moran faced 21 charges of false accounting and forgery of parliamentary expenses involving sums of over £60,000. However, following a psychiatrist’s report, Moran was found to be suffering from a depressive illness, with extreme anxiety and agitation, and as such was unfit to stand trial. Nonetheless, a trial went ahead in her absence (a so-called ‘trial of the facts’) and it was found that she did indeed falsely claim more than £53,000. Despite all that has happened at the Telegraph, its obituaries are still the best. His father was a racehorse trainer, a diminutive man known as “Shrimp” Macnee whose dapper wardrobe his son later recreated for Steed. He had a taste for gin and enlivened his dinner parties by levelling a shotgun at those guests he suspected of pacifist tendencies. Maybe explains why Steed's gentlemanly response to 60s feminism: grateful, exhilarated, conspiratorial, slightly turned-on? That seems exactly right to me. If you want to know what is really going on in the party, the first place to turn is the Radical Bulletin pages at the front of each issue of Liberator. "The announcement of the front page of the Liberal Democrat manifesto in February created a minor news story. Unfortunately its content was also news to the Federal Policy Committee ... which is supposedly in charge of the manifesto." "Liberator has received persistent complaints, the truth of which is a matter of conjecture, that huge sums were diverted into holding Nick Clegg's seat in Sheffield Hallam, into a doomed attempt to save his closest political associate Danny Alexander... and into [Jasper] Gerrard's campaign in consideration of his having written an admiring book about Clegg. "The continuing Liberal party some years ago morphed into a rabidly anti-EU group, a stance quite at odds with that of the pre-merger Liberal Party. This spring the party's Cornish branch withdrew its candidates in favour of Ukip, a move that led to the withdrawal of its nomination rights but not yet to any further action. "Councillor Creagh was not an impressive witness. The Tribunal agrees with the Respondents' assessment of her as an insensitive witness, lacking in balanced judgement and one who prepared to make assumptions about the honesty and integrity of others without any proper basis." You can read more about Liberator in a recent Liberal Democrat Voice article you can subscribe via the magazine's website. Long ago, before even my time with Liberator, Radical Bulletin was a separate publication. Sound work for radio and red vinyl 45rpm 12” record (blank 'A' side, single track on 'B' side), stereo, 16 mins, 2006-2007. Because Paul Rooney is an artist, you see. The record comprises a single voice monologue above and amidst music influenced by dub reggae and Lancastrian post-punk. The voice on the piece is that of Lucy, a ‘sprite of the air’, an airborne spirit, who is possessing the grooves of the record itself, and is damned to endlessly repeat stories about Lancashire she has been told by the evil and shadowy figure of ‘Alan’. She cheerfully relates a twisted tale – partly in Lancashire dialect – in the desperate truth-stretching style of internet conspiracy theorising. The tale describes the pivotal role that the English county of Lancashire has in the plans of Satan, ranging from the Pendle witches and the 'dark Satanic mills' of the Industrial Revolution, right up to the bile of the Red Rose Radio phone in shows of Allan Beswick (who also appears on the record). Other Lancashire linked characters mentioned within the work, with names changed or slightly distorted, include Lee Scratch Perry, Marx and Engels, Mick Hucknall of Simply Red, The Fall -– particularly the debt that the band owes to dark Lancashire folk-lore -– and the Radio Lancashire ‘On the Wire’ programme itself, whose longstanding commitment to dub reggae provided one of the inspirations for the work, and on which the piece was first broadcast on 18th November 2006. There are many such excerpts around, but I believe this is the whole work. 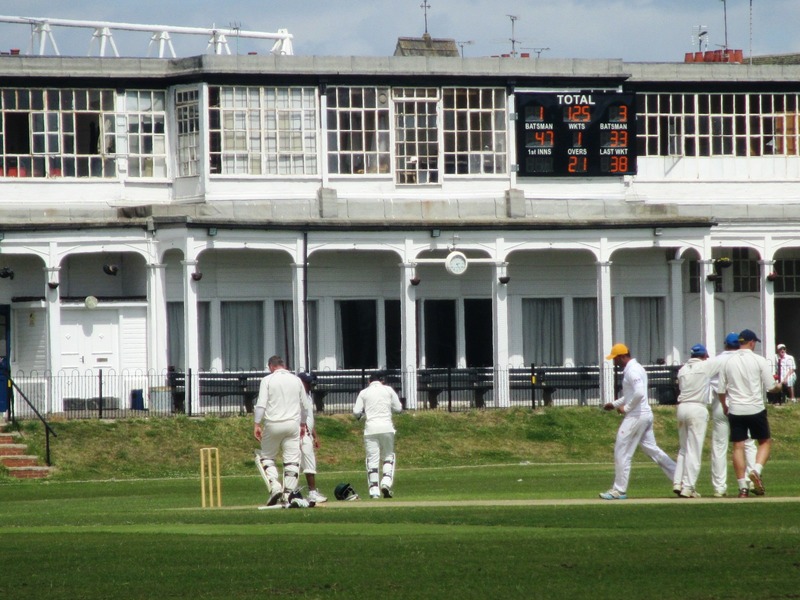 An impressive pavilion for the Leicester Electricity Sports Cricket Club, who were running up an impressive score against the Leicester Centurion club when I dropped in today, you may think. And there is a reason. 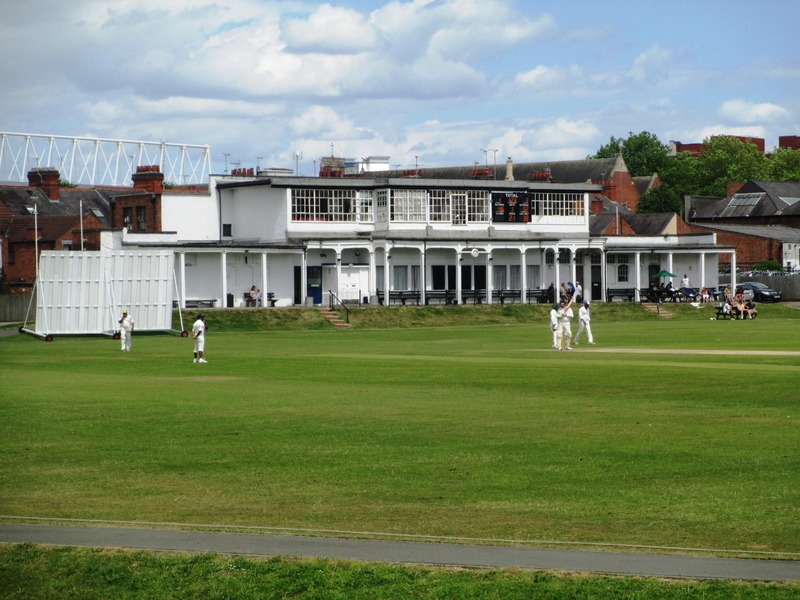 This is the ground where, between 1901 and 1939, Leicestershire played their county games. 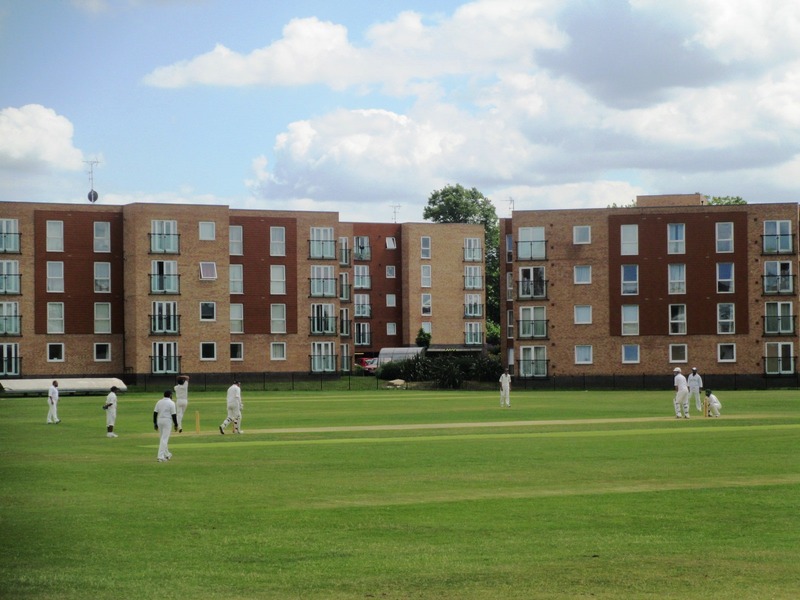 According to the club's website, the great names who played hear include Grace, Bradman, Hammond and Hutton. 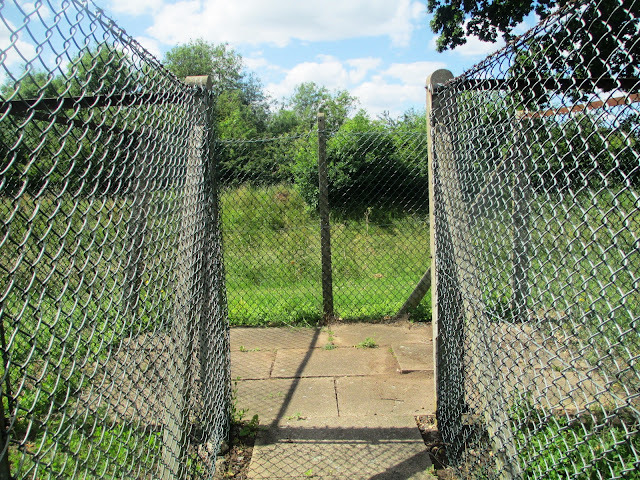 It was known as the Aylestone Road ground. In those days Grace Road, where the county played in the 19th century and where it plays today, was thought too far out of the city. It was not bought by the club until 1996. Before then it was owned by the city's education committee, and someone I worked with remembers taking part in his school sports day there. Aylestone Road was dominated by the neighbouring the power station and infamous for the pollution from the neighbouring factory chimneys. The war was hard on it and land was lost to industrial expansion. The factories have gone and the power station site is not the home to Leicester City's King Power Stadium, though there is still an impressive amount of electrical equipment on the site. Unmitigated England has written about the ground and so has Down at Third Man. The latter blog includes an aerial photo that shows that the wicket has been turned by 90 degrees since its first-class heyday. It also shows a stand which was moved to Grace Road and still stands as the homely but loved Meet. Nick Tyrone asks how the right-wing press will react when David Cameron campaigns to stay in the EU. Nigel Farage and his senior adviser were caught up by the glamour of the Tea Party – to the fury of some in their own party, say Freddy Gray and Sebastian Payne. Dominic Minghella stands up for the BBC. I remember being one of many people who bought a parcel of land in the shadow of Heathrow to prevent the construction of another runway. Gwyn Topham reveals that Greenpeace has sold all that land without telling any of us. "One morning in March 1921 a large man in an overcoat left his house in Charlottenburg, Berlin, to take a walk in the Tiergarten. 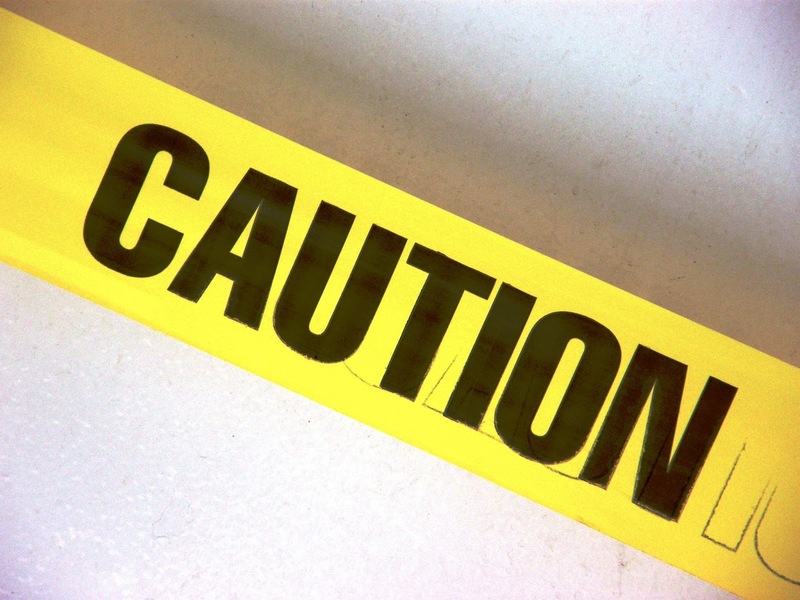 A young man crossed his path, drew a pistol and shot him in the neck." 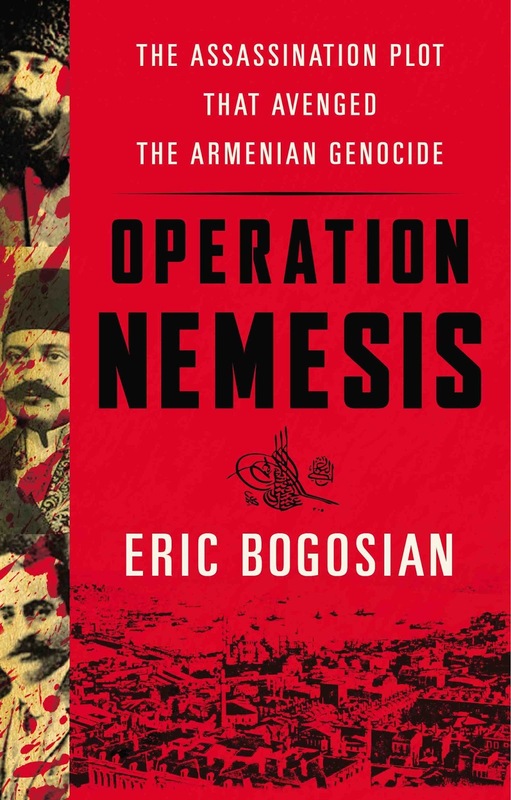 Dominic Green reviews a book on the avenging of the Armenian Genocide. Psychogeographic Review follows the River Gwenfro through Wrexham to find its confluence with town's other river, the Clywedog. Another visit to Bonkers Hall draws to a close. How will the old monster get on with the locum vicar at St Asquith's? Time will tell. It is Farron. I find him in St Asquith’s taking down the signed photograph of Leicestershire’s 1975 County Championship winning team from behind the altar. "Let me make a few things clear from the start," I tell him. "We are not going to sing 'Shine, Jesus, Shine,' you are not removing the pews from the church and I am not going to kiss the person next to me – unless it’s Alan Beith, of course." "They'll eat you for breakfast"
Poor man. The spam factory and the vast creamery at Minsterley were too much for him. He might have shown us the station master's house though. At least Six Bells Junction has a photo of the station in its final days. He is also mistaken about the junction with the Snailbeach mineral line at Pontesbury. It was a narrow-gauge railway, so there cannot have been a simple junction with the standard gauge Minsterely branch. In fact the lines met a little way to the south of Pontesbury station. The Snailbeach line came in at a higher level so that its wagons could be emptied into standard gauge wagons standing beneath it. Secret Shropshire has a photograph of the remains of this arrangement. I visited that site some years ago - I am afraid it must have involved some trespass and suspect this was before new building in Pontesbury made access to the trackbed more difficult. In those days it was occupied by a vast salt store owned by the county council highways people. It was up for sale and I wondered when I discovered this video if it is still there. Google Street View shows it is and is now part of The Wharf Business Park. Or at least I shall be if my ballot paper arrives. I have found this a difficult decision, but have decided to follow my usual practice of voting for the Pardoe rather than the Steel (though I note that David Steel is supporting Tim too). Lord Bonkers' Diary: "They’ll eat you for breakfast!" It's all change at St Asquith's. I was sure I had stolen the line about Tim Farron believing that every word of the Liberal Democrat manifesto is the literal truth from someone on Twitter, but I cannot find the tweet. "They'll eat you for breakfast!" The Reverend Hughes calls at the Hall with some disturbing news. He has decided to hand in the keys of St Asquith’s for a while and go off on a Mission. “You ‘re not going to live with the headhunters of Borneo, are you?” I ask sternly, knowing what he was like when he got One of His Ideas. “I did think of that” he replies, “but it seemed so tame. No, I am convinced the Lord is calling me to convert the more primitive tribes of the Upper Welland Valley.” “Don’t be a fool, man,” I tell him. “They’ll eat you for breakfast,” but he is not to be moved. I detest such disruptions to the smooth running of things here on the Estate and in the village. I remember when Meadowcroft (or was it his father?) got it into his head to go off to France and grow grapes. Whilst I was busy persuading him to return, a colony of moles established themselves on the lawn in front of the Hall. It took years – and several closely argued pamphlets from Meadowcroft – before I could get them to leave. Well done to the Telegraph - and to West Mercia Police. Let us remember Patrick Macnee with the sexiest, most stylish opening titles ever. The BBC News Suffolk page wins Headline of the Day. Sir Clive Loader, Leicestershire police and crime commissioner, is suffering from severe back pain and will have to step down from the role for a while. I wish a swift and full recovery. But his plight has displayed a weakness of the PCC system: who takes his place? Under the law the police and crime panel must appoint an acting commission - for a maximum of six months - from a member of his staff. Sir Clive asked the panel to pick Paul Stock, the chief executive of the Office of the Police and Crime Commissioner (OPCC), as his successor. He said Mr Stock was willing to take on the role. The police and crime panel however has not followed Sir Clive's wishes. Newly re-elected panel chairman Joe Orson said he hoped Sir Clive would make a speedy recovery but said he was concerned the law only allowed for his replacement to be a member of his staff. He said the Home Office would be lobbied to change the law so that only an unelected official could assume the role. I suspect Mr Stock said "an elected official", though what he or she would have to have been elected to is not clear. The old police authorities would have dealt with such a crisis without breaking step. But then the style of politics they represented - compromise, reconciling different interest groups - is out of fashion. Now it is all about czars who will Bang Heads Together and Get Things Done. Just pray your czar does not get a bad back. So the Northern Powerhouse did not survive for even two months after the general election. The electrification of the Trans-Pennine railway line between Leeds and Manchester has been put on hold. So too has the electrification of the Midland main line between Bedford and Sheffield. Much work towards this has already taken place. The photograph above shows a bridge at Kibworth being raised and the one below shows the Network Rail track measurement train, which has been frequently seen on the line in recent months. "The Chamber is extremely disappointed and frustrated that the electrification of the Midlands Main Line will not go ahead as planned. "It is disappointed that the original plans couldn't be delivered on time or budget and frustrated that this key project isn't being given the prioritisation that the success of the region demands. "The Transport Secretary, whose constituency is in the East Midlands, has said, however, that the project is still part of his plans. The Government must now clarify exactly when it will be delivered. "The evidence in favour of upgrading this route is compelling. It will significantly reduce travel times between the East Midlands and London, unlocking potential economic benefits of around £200m for the region. "For the past two decades, there has been huge investment in other routes, yet the Midland Main Line has been starved of investment, in spite of the fact that the route connects to London one of the fastest-growing areas in England, which has generated much of the economic growth needed to drive the UK's economy away from recession and created more jobs than any other region. "The Chancellor was in the region only a few weeks ago describing it as the UK's 'Engine for Growth'. Infrastructure is a driver of that engine and to have this key project shunted back into the sidings is a grave concern." Here in Market Harborough we want to know how this 'pause' will effect the promised improvement of access to our station. 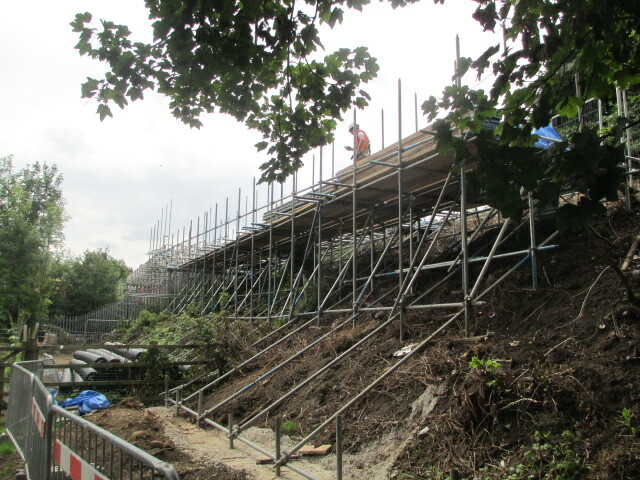 As electrification will involve some degree of track straightening through the station, we have to presume that nothing will happen until the electrification work is resumed. Meanwhile HS2, which involves massive capital investment in London, will go ahead. Lord B. explains the consequences of one of the Liberal Democrats' wheezes for wringing money out of us during the general election campaign. How long ago it all seems! The bigwigs in the party were very pleased with themselves when they came up with the wheeze of offering the prospect of dinner with John Cleese or Hugh Grant to encourage members to donate money to the general election campaign. The idea was that anyone making a donation would be entered into a draw and the winner would get to break bread with one of other the two stars. Being good Liberals, both Cleese and Grant donated money themselves and were consequently entered into the draw. When that draw was made the inevitable happened: Cleese won dinner with Grant and Grant won dinner with Cleese. They dined to together at my club on consecutive evenings and got on Terribly Well, but I feel sure that was not how things were meant to turn out. This video from the social psychologist Professor Alex Haslam seems relevant to that argument. He argues that it is our membership of particular social groups that gives us our identity. The Guardian has just posted a long article under this title by Patrick Wintour and Nicholas Watt on its website. Though the site no longer has that useful button that told you an article's publication history, I assume it will be in tomorrow's paper. The party, desperate for votes, then fell into a trap set by the National Union of Students. In November 2009, the NUS persuaded 400 Liberal Democrat candidates, including Clegg, to sign a pledge to vote against any increase in fees in the next parliament and to pressure the government to introduce a fairer alternative. To make matters worse, Clegg agreed to be filmed doing so. Confident that his LBC training had made him an adept media performer, Clegg agreed to take part in two TV debates against Nigel Farage during the campaign. 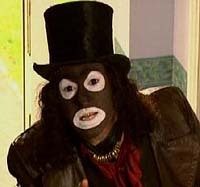 They were not generally perceived to be among Clegg’s most dazzling performances. Ed Davey, the Lib Dem energy and climate change secretary at the time of the debates, was unimpressed. “The disaster over the Farage debate was there was a Liberal Democrat leader who was representing the establishment,” he said. I suppose we should be grateful that someone thinks our decline and fall worth documenting in such detail. Now for the fightback. A Liberal Democrat adviser adjusts to the new political landscape. Who should I meet when I drop into a Westminster coffee bar to treat myself to a cappuccino but Freddie? You remember him: he was one of Freddie and Fiona, the two young advisers upon whom poor Clegg leant so heavily whilst in government. I give him some advice, wish him the best of the luck for the future and end by saying: “You know, I think I will have some chocolate on top. Makes a bit more of it, don’t you think?” He gives me my change and I find a table and sit down with the Manchester Guardian. David Boyle lists his top 10 policy delusions that are shared by left and right. As so often, he is spot on. "As Corbyn’s speech on Saturday ... confirmed, he is a perfect reflection of British socialism’s shift from a once-viable challenge to the structural failings of capitalism to a form of welfarist middle-class moralism." Tom Slater is not impressed by Jeremy Corbyn's candidacy for Labour leader reveals the hollow core of British politics. The dark web as you know it is a myth, says Joseph Cox. 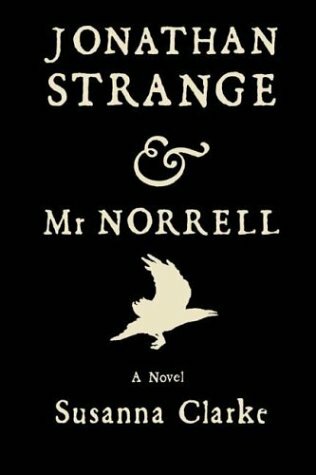 "The way characters discuss the ‘wild, cruel, medieval’ magic of the Raven King in the BBC’s Jonathan Strange & Mr Norrell series is starting to seem eerily familiar to me. The terms being used are remarkably similar to what writers in the century and a half after the Restoration say about Shakespeare’s poetry." Richard O'Brien casts unexpected light on a television hit. Amy Lawrence remembers Italia 90. "King Arthur Pendragon was spotted in the village. 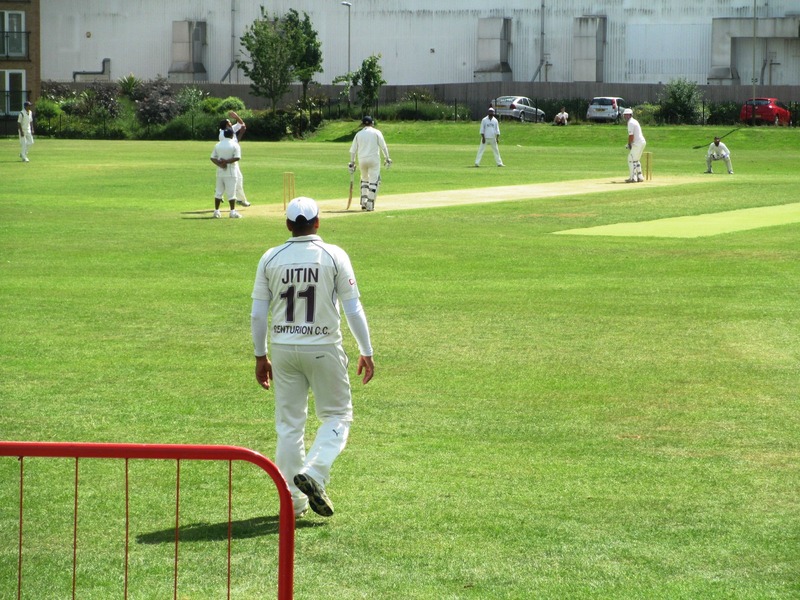 Several druids floated down the path that runs across the far side of the ground, one the harbinger of a wicket for our skipper, charging in up the hill as if pursued by King Sil himself." The Old Batsman enjoys cricket at Avebury on the summer solstice. Another exploration of a disused railway in Shropshire. The blurb on Youtube says this one closed in the 1950s as a result of a coals strike and was originally intended to reach as far as Montgomery. 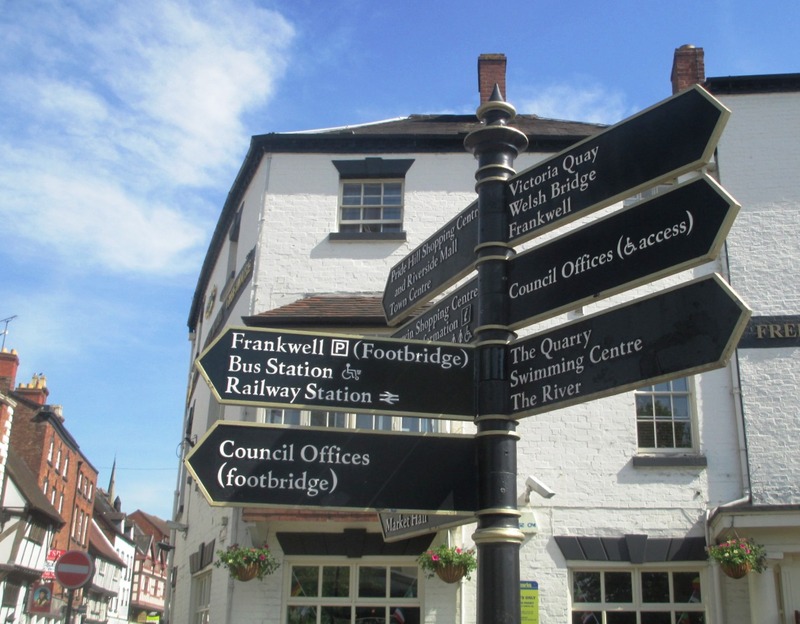 Part 1 takes us as far as Pontesbury. I am looking forward to part 2, as I have explored the line between there and Minsterley myself. In a way, the League was railing against that very safe, cosy light-entertainment world; we loved the writing of Alan Bennett, Victoria Wood and the Saturday-night double bill of horror films. We brought that ear for dialogue and love of gothic horror together. I am not so amazed. Because, to someone who grew up in the provinces in the 1970s, it was not so much comedy or horror as documentary. Life as like that. Why, I hear you ask, did we do so badly at the general election? First there was that slogan: "Stronger economy, fairer society." Ashdown did his best to perk it up by adding "Opportunity for Everyone," while I had some success here in the Bonkers Hall Ward with the kicker "Remember your rents fall due on Lady Day," but I admit that was not an addendum open to every Liberal Democrat candidate. Then suddenly it was all about looking left and right before crossing the road. As it happens we have never bothered teaching the village children the Kerb Drill because we have kept in place the anti-tank defences that were installed at the top of the main street at the outbreak of hostilities in 1939. Some people call such measures ‘traffic calming’, but here they have a far from calming effect on drivers who go through them. So that slogan was never going to have much of an impact hereabouts either. After that we had that stuff about the Wizard of Oz – one of my favourite films, but hardly likely to win over the younger voter – and after that… Well, I forget, but I think ‘Decency’ came into it somewhere. It sounded rather like the chaplain at school when two fourth-formers had been found in bed together. This film was made in 1975 for the BBC series Nairn's Journeys. He was so right about the dismal shopping arcades of that decade. 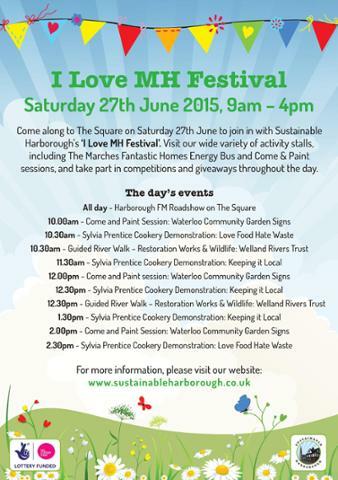 More on the Sustainable Harborough website. The new Liberator has arrived, which means it is time to visit Bonkers Hall once more. An unseasonably cold morning as I supervise the erection of an obelisk commemorating the many good Liberal Democrats who fell at the general election. It stands on an eminence on the Bonkers Hall Estate, across a rocky valley from the triumphal arch which marks Wallace Lawler's victory in the Birmingham Ladywood by-election. I cannot pretend I was surprised at the debacle of 7 May: indeed, I had asked for an estimate from my stonemason well before polling day, though he had to put me off for a while because he had an urgent commission "from another political gentleman". As things turned out, we did worse at the election than even I had expected, with the result that he had to Put a Bit on Top to give him room to inscribe all the names. The public, however, will not notice a thing. Lost Bonzos film found alive! Thanks to Dangerous Minds for posting this film by the surrealists of the 1960s music scene, the Bonzo Dog Doo-Dah Band. This little vintage piece of Bonzology turns up now and again like some long lost friend, but usually disappears with the speed of a unauthorized clip of Prince getting his groove on. He found it on the Vimeo account of Garrett Gilchrist, where you will find other good things from the Bonzos and the Muppets. This was a UK hit in the summer of 1973, which explains why it reminds me of listening to Radio Luxembourg under the bedclothes. A synthesiser solo was novel then, and I prefer Tina Turner here to the bloated production she was given a decade later. The new issue of Liberator questions the two candidates for the leadership of the Liberal Democrats. Question 1 The general election has exposed the Liberal Democrat core vote at only 7.9% of the electorate. Should the party continue to maintain it can ‘win everywhere’, should it or build a core vote, and if so from where should a core vote be built? TIM FARRON In past elections the party has been good at mobilising the protest vote – and, as Jo Grimond said, there’s a lot to protest about! The problem, of course, is that protest voters abandoned us when we entered government. On top of that, some of our actions in coalition alienated some of the groups which were becoming more strongly attached to us: students, healthworkers, teachers and other public-sector professionals, ,. We must rebuild their trust and belief in us. A core vote is vital in winning list seats in Wales, Scotland and London next year and for Europe in 2019. Realistically, we have to start by building on our previous parliamentary representation – the sixty or so seats where we are still in second place – plus others where we still have local strength. The very disparate nature of the eight seats we still hold offers some comfort here, representing a wide range of different areas, urban, rural and smalltown. NORMAN LAMB I want to reach out to liberals everywhere across the country. Almost 2.5m people voted for the party throughout the UK and we must ensure that we continue to represent them while also engaging with those who share our ideas, beliefs and values even if they didn’t vote for the party this time around. This is a liberal age. We must convince all those people who share our values that the Liberal Democrats are the party for them. At the same time, we must ruthlessly target our efforts in seats where we can win at council level, in the Scottish and Welsh Parliamentary elections and in the 2020 general election. But it is important that we continue to offer the public a proper liberal choice. I recently found this clip from Five Clues to Fortune, a 1957 film produced by the Children's Film Foundation. It features three very Fifties children, one of whom is played by the young David Hemmings. This gave me the opportunity to get to know the technicians behind the making of films and I soon established a strong rapport with them. It seemed to me that they went out of their way to be kind to me, letting me sit in the pub in Woburn village with them at lunchtime, learning three-card brag and the mechanics of film-making. Ever since then I have always had an affinity with the technicians behind the scenes in movies. This experience undoubtedly sowed the seeds of my subsequent move from the front to the back of the camera. I learned a great deal from it, among other things how to ride a horse (which came in very useful fourteen years later, when I played Captain Nolan in The Charge of the Light Brigade). The sources agree that the safari park at Woburn did not open until 1970, but there was clearly already a collection of animals there when this film was made. If you really mean it, it all comes round again. Liberal Democrat leadership hopeful Norman Lamb is at the centre of a ‘dirty tricks’ row after party memberships lists were used to conduct negative polling about his arch rival Tim Farron, The Telegraph can disclose. The Information Commissioner, the information watchdog, is set to be asked to investigate whether there was a breach of data laws in a move which could land the party with heavy fines. Mr Lamb told The Telegraph on Saturday that he had suspended the individuals behind the polling from his campaign. A LibDem spokesman said that the party had commenced formal disciplinary action against the pair. According to party sources they are Gavin Grant, the partty's Western Counties regional chairman and a former chief executive of the RSPCA charity, and Mark Gettleson. Mr Grant told The Telegraph that he supported Mr Lamb but denied any involvement in the polling row. Mr Gettleson could not be reached for comment. Ah well, it's not a proper leadership election without a row like this. This imposing factory stood at the north end of Granby Street. The modern block next to it occupies the site of the yet more imposing Temperance Hall, where Charles Dickens, Mark Twain and Charlie Chaplin performed. 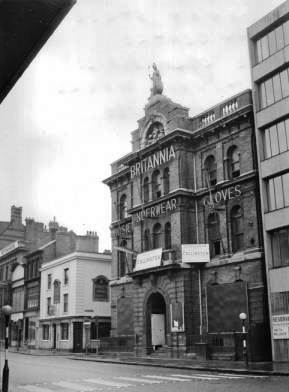 The Granby Street Conservation Area Character Appraisal says the Britannia Works were demolished in 1962, but the University of Leicester Special Collections date this photograph, taken when demolition was about to begin, to 1965. The Barley Mow, the pub on the other side of the Britannia Works, is still serving. The greatest point of interest has been this - Liz Kendall's "the country comes first" reply to Andy Burnham. She’s always seemed doggedly party-focused to me, devoting years of her life to pursuing safe Labour seats before landing Leicester West. Before that, in 1996-97, I worked for Labour: just after I’d started at Millbank, I slagged Tony Blair off to Kendall, who lived near me. The 24-year-old loyalist promptly grassed me up to my new Policy Unit boss. But alas, council leader’s Keith Barrow’s cabinet has censored this message by making the business plan exempt. 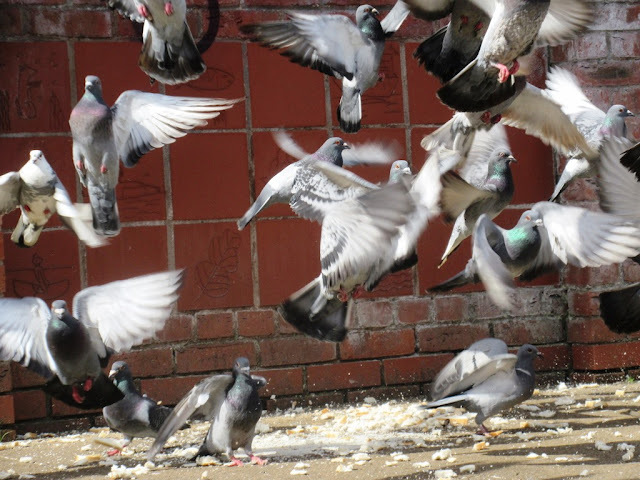 He said: “My blog on the secret world of ip&e clearly upset a few people in the ‘West Wing’ of Shirehall. But, he said, the complaint was dismissed as no confidential details had been released. It is hard to resist the conclusion that what the council chiefly lacks is a sense of the ridiculous. News that it will cost more than £5bn to restore the Palace of Westminster only confirms my view that the answer is to move the whole operation to Arkwright's Mill in Cromford and allow the old pile by the Thames to fall to ruin. Will anyone have the courage to take up my idea? I doubt it, We are governed by mediocrities. The 19th-century poet John Clare once walked from an Epping Forest asylum to Northamptonshire without food or money. A feverishly experimental documentary, By Our Selves sees Jones, Kötting and Sinclair ghosting through a middle-English landscape of hedgerows and wind farms, with Sinclair – dark-suited and goat-masked – reading excerpts from Clare’s journal. Fragments of sound from other films and recordings add to a hallucinatory atmosphere. “John Clare was a minor nature poet who went mad,” flickers throughout. It’s a stunning piece built on connections, coincidence and déjà vu – an introverted work, with Jones, as the poet, silent, given a voice by his real-life father’s trembling renditions. Sinclair, whose book details his own significant links to Clare, explains: “The interesting thing was that Toby’s father, Freddie Jones, this terrific actor, had acted John Clare on TV in 1970. Toby was four years old and his father was playing John Clare and his mother Mrs Clare, and of course he goes off into an asylum in the end and Toby was freaked out by this. By Our Selves is being shown at the new Picturehouse Central in London's West End on Saturday 20 June. As other Liberal Democrat bloggers have pointed out, a video of a hustings with Tim Farron and Norman Lamb has been posted on Youtube by the party. You wouldn't know it from the details given there, but the event was held for new party members and took place at Queen Mary University of London on 27 May. Also of use if you are making your mind up how to vote are the interviews conducted with Tim Farron and Norman Lamb by Liberal Reform. 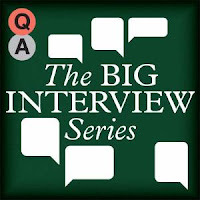 Watch out too for an interrogation of the two candidates in the next issue of Liberator. I mean, you do all subscribe to Liberator, don't you? 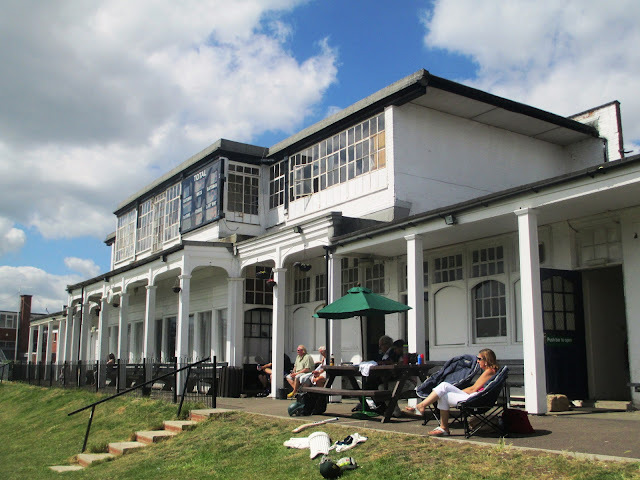 Back in February I blogged a couple of times (here and here) about Pentabus Rural Theatre Company and its plans to perform Alice Birch's play The Lone Pine Club at various National Trust locations this summer. There is now more about the project, including this video, on the Pentabus website. 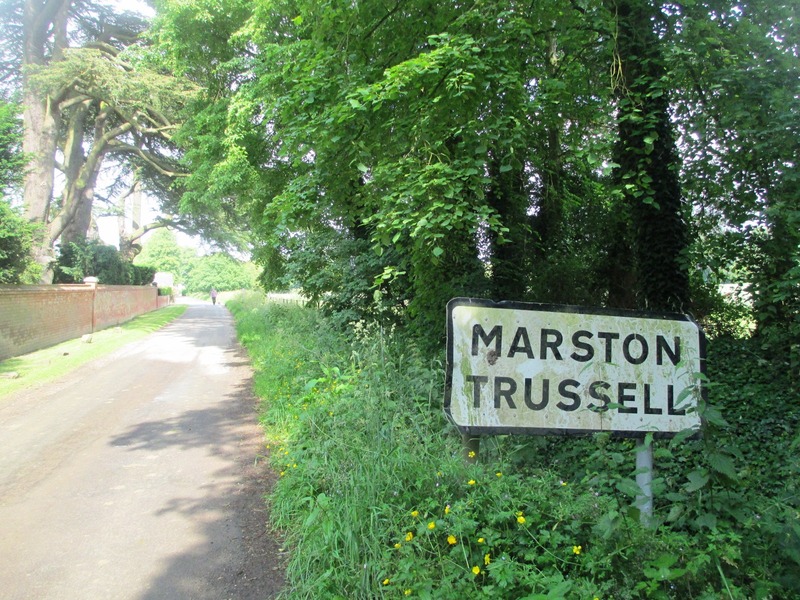 The second Marston Trussell Beer Festival takes place this weekend (19-21 June). I visited the first one last year. The village is first mentioned in the Domesday Book (AD 1086) as Mersitone, meaning marsh settlement; the Trussell family presumably adding their name to the village after they became lords of the manor in the 13th century. Today, the village is much reduced but its original extent ... is clearly visible in aerial photographs, with extensive earthworks to the east around the church and to the north of the present village framing its ‘shrunken’ size. Readers of a certain age will remember the 1984 murder in Shrewsbury of the rose grower and environmental campaigner Hilda Murrell. I reviewed A Thorn in Their Side, a book on the case by her nephew Robert Green, here last year. The Shropshire Star brings the welcome news that a road in the town has now been named after her. It also brings the less welcome news that they have spelt her name incorrectly. It seems spirits were running high at the Solemn Choral Evensong held at York Minster on the day Richard III was laid to rest in Leicester. A disgruntled pensioner who told the former Dean of Leicester she would burn in hell as she led a cathedral service in York has earned himself a criminal record. Retired accountant David John Smith, 66, admitted having a drink before going to York Minster and confronting the Very Rev Vivienne Faull - now Dean of York - and telling her, "God will not forgive you for what you have done to Richard. You will burn in the hell fires forever." The agitated Ricardian then shoved a police officer as he was escorted out of the cathedral, and was arrested. He pleaded guilty to a public order offence and assault at York Magistrates' Court, last week, and was given a six-month conditional discharge. 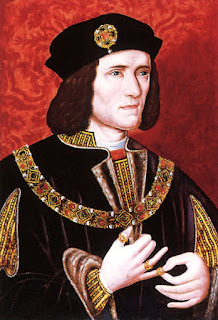 The faction that wanted to see Richard buried in York was vocal on Twitter, but we never fell to fisticuffs. I enjoyed Devon, Bedfordshire, North Lincolnshire, East Sussex, Leicestershire, Herefordshire, Hampshire, Cumbria, Cambridgeshire, Kent, Lincolnshire, Cornwall, Rutland. Northumberland and Shropshire. The obituaries for Ron Moody record that he fell into acting while studying at the London School of Economics. There is more about being taught by Popper in Moody's A Still Untitled (Not Quite) Autobiography. 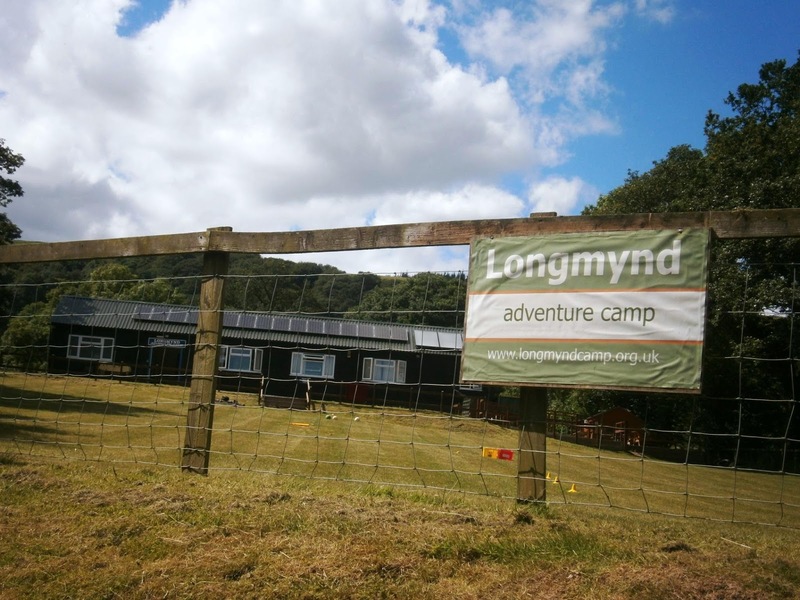 It is 50 years since the Long Mynd was acquired by the National Trust, reports the Shropshire Star. No less than £18,000 was raised by public subscription to buy a large part of the hill. "The heather-covered plateau has returned. 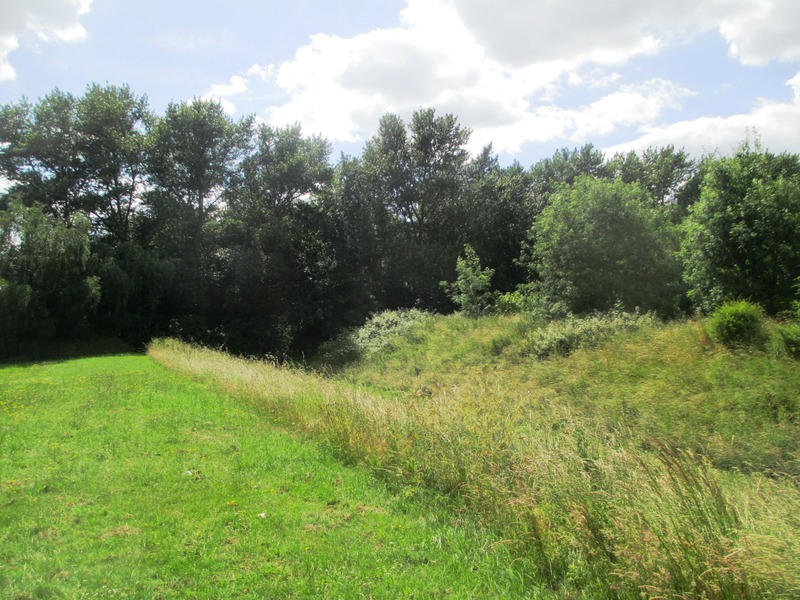 There is a more diverse range of vegetation, while wet flushes and boggy areas are thriving and species of wildlife are beginning to return and establish themselves. "However, there are still species that are struggling, curlew in particular – once a common sight and sound on Long Mynd. We now only have two breeding pairs.There is still so much to do to protect this fragile environment." The anniversary will be celebrated at the National Trust hub in Carding Mill Valley, Church Stretton, on Sunday 28 June. Why did the pollsters get it so wrong at the general election? A special extended edition of the Polling Matters podcast tries to find out. "It is a strategy that ignores the potential that is in 100% of today’s labor force, 98% of next year’s, and a huge number of people who will be around for the next half-century." Ricardo Hausmann questions the orthodoxy that education is the key to economic growth. David Hencke says cutting councillors in Newcastle upon Tyne is a dangerous move to dilute democracy. The Labour leadership election of 1976 was contested by Tony Benn, Jim Callaghan, Anthony Crosland, Michael Foot, Denis Healey and Roy Jenkins. Alwyn W. Turner looks back. Elizabeth Day talks to Alistair McGowan about his experience of portraying Jimmy Savile in a new play. 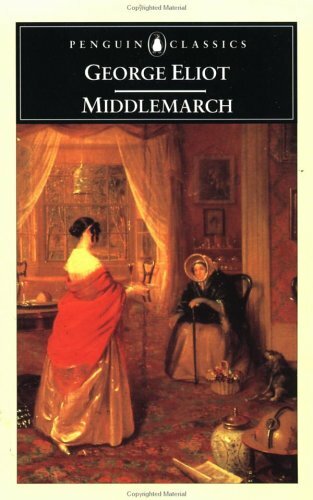 Rebecca Mead on the appeal of Middlemarch. Peter Sarstedt was the middle of three brothers, I wrote when choosing his Frozen Orange Juice many Sundays ago. What I also wanted to say then was that the three brothers had released a single together, but I could not find a mention of it online. I would have been inclined to think I had imagined it, except that I had such a clear memory of the couplet "The men from Mars/in their Japanese cars." Now I have found it online, and it turns out to be an interesting record. Do I detect a note of distaste as Seventies materialism replaces the dreams of the Sixties? The brothers recorded a whole LP together in 1973 - Worlds Apart Together - but this song does not appear on it. You will also find Chinese Restaurant in a list of Noel Edmonds' records of the week from that era. Studying it reminds he that in those days he was one of Radio One's cooler DJs. Not as cool as Johnnie Walker, but still cool. It was all a long time ago. We have, thanks to a drone, seen the remains of the lead mining industry at Snailbeach in Shropshire. This film by the same cameraman takes us on a motorbike ride from the village to, if not the Devil's Chair, then at least the car park under the Stiperstones ridge from which you can climb up to see it. Along the way we pass the chimney at the old Tankerville mine [2:06], the Stiperstones Inn [4:01] and Stiperstones primary school [4:15] and The Bog Centre [9:42]. Can anyone tell me what the music is? Labour's confidence suffered a severe jolt with the near wipe-out of the Lib Dems, in the British general election last month. A formerly progressive party was so tainted by partnering with austerity-junkie Tories and quickly reneging on key policy commitments — such as tuition fees and benefit cuts (ring any bells Labour?) — that the Lib Dems saw their share of the vote collapse from 23% to 8% and their MPs down from 56 to 8. The fact that deeply unpopular leader, Nick Clegg, said this was because the party put the national interest ahead of its own, when it went into a rightward coalition, will only have exacerbated Labour’s fears, as that is exactly the excuse Eamon Gilmore, and now Joan Burton, have given for the present predicament, which sees Labourites giddy if a poll puts them on a dismal 10%. Of course, the PR system will save Labour from some of the worst ravages inflicted on the Lib Dems by Britain’s ruthless first-past-the-post system ... But, nonetheless, Labour is not heading for a pretty poll day. The Irish Labour Party, you see, is the junior partner in a governing coalition. And didn't Angela Merkel tell David Cameron that the smaller party nearly always gets smashed? I am reminded of the debate we had on Liberal Democrat blogs after the collapse of the FDP in Germany. As it turned out, it did have serious lessons for us. You can never have too many interviews with Jonathan Meades. Hear him talk to Robert Bound, Monocle’s culture editor on reviewing restaurants, appraising architecture and assessing what the audience really wants. I didn't just find a memorial to the 1916 Zeppelin raid on Loughborough by accident last Saturday. I also found the quickest route between the town's two railway stations - the station on the Midland main line and the one on the preserved Great Central. That route lies along the canal towpath and takes you under this bridge, which used to carry the Great Central. Today the embankment to the north of it is missing, as is the bridge that once took the Great Central over the Midland and on to Nottingham, Sheffield and Manchester. 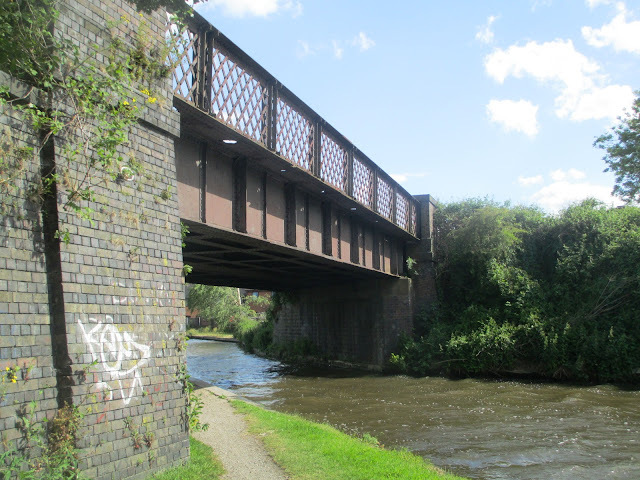 This gap now separates two preserved lines: the Great Central Railway and the Great Central Railway - Nottingham. The good news is that there are plans to bridge it again. Liberal England was the first blog to bring you a photograph of the young Tim Farron and his band. Now, thanks to the same reader, I can bring you a medley of demo recordings by the band from 1988. I sometimes wonder if my distrust of public institutions comes from reading Oliver Twist at too early an age. My great aunt and uncle in Wealdstone had a complete set of Dickens. When we visited them after I had seen Oliver! at the cinema, I asked if I could borrow the book. Whether because of the film or the book, the story has been part of my mental furniture ever since. I am not alone of this. Oliver Twist and its characters are so powerful that the story has become part of our folklore. The plot of Oliver Twist is such a mess (there is a late chapter where Dickens tries to tie up all the loose ends and fails) that you have to hack the novel about to adapt it. The result of this repeated retelling of the story is that Dickens' version has become just one among many. And Oliver! is a remarkable retelling of the tale - almost a subversion of it. Whatever the book's virtues - and they are many - it draws upon ancient stereotypes of the Jew as the stealer of Christian children. In the Middle Ages such accusations were often the pretext for pogroms. Yet above all Oliver! is a Jewish story. Written by Lionel Bart (born Lionel Begleiter), brought to life above all by Ron Moody (born Ronald Moodnick) and featuring wonderful schmaltzy music like Reviewing the Situation. Fagin was the villain of the original novel (there Bill Sikes becomes almost a sympathetic figure in his final hours), but when Ron Moody danced off arm-in-arm with the Dodger to find new adventures, the story had been rewritten with him as the hero. So this evening I am mourning Ron Moody and wondering again at the way Dickens' novels remain alive to us so long after they were written. And, after all, Fagin did feed Oliver far better than the workhouse authorities did. "They are not campaigning against tuition fees – they are campaigning for the Labour Party." Jan Nedvidek criticises the National Union of Students' £40,000 campaign against the Liberal Democrats. Harry Lambert meets the mighty John Curtice - the only man to forecast the general election result correctly. Natural capital is everything nature provides us for free. Dieter Helm explains its importance. "So we labour, driven by the whip of necessity, an army of slaves. If we do not our work, the whip descends upon us; only the pain we feel in our stomach instead of on our back. And because of that, we call ourselves free men." The Idler reprints an 1899 essay by Jerome K. Jerome. Back in 2002 the great tenor Ian Bostridge wrote in praise of Noel Coward. Didn't you used to be Adil Rashid?